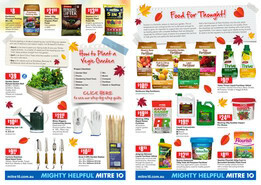 Mitre 10 is an Australian retail and trade hardware store chain with over 400 franchises nationwide. 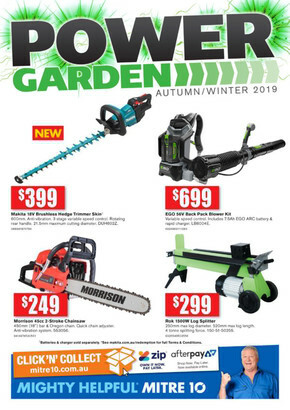 Shop at Mitre 10 online to browse the latest catalogues and weekly ads for unbeatable deals on power tools, hand tools, hardware, kitchenware, appliances, paint, garden, storage and much more. Shop online at Mitre 10 and take advantage of their Click & Collect service today! 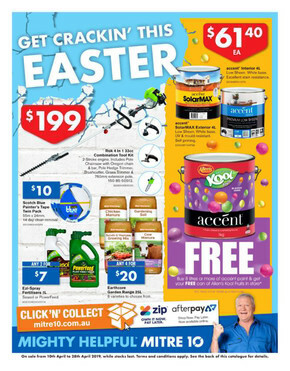 Find the product(s) of your choice online, select Add To Cart, choose your nearest Mitre 10 store, enter your payment method and details, and collect your order instore once you’ve received a confirmation email. It’s that easy! 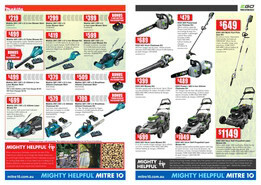 Join Mitre 10’s Mighty Rewards for a range of exclusive offers. 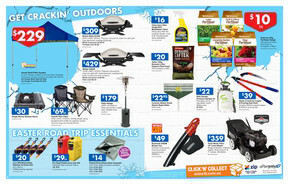 Benefits include earning Reward Points for eligible purchases made instore, fantastic promotions, and special offers. Check out the website to sign up now! 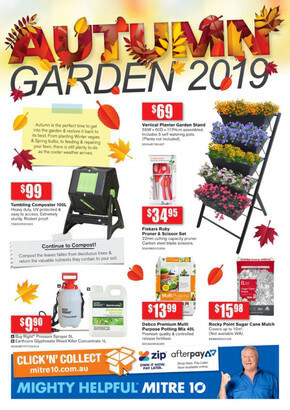 For information on store locations, opening hours, and to browse the latest flyer for fantastic deals and savings, visit Shopfully site or download the app.